Deepbrown & Kinks: Who felt the heat today? Who felt the heat today? It started raining 2 weeks ago and I had taken the cool weather for granted... until today.chei! I nearly faint. the moment I got home, all thoughts of hunger fled and and the first thing I did was to pour some COLD water on my body and hair. Yes o, I washed my hair with cold water (not ice cold sha-:)). After the bath, I felt alive again. 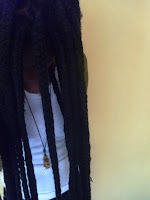 I dont know how they do it, but omo, my sisters with thick, long brazillian weave: una try!! 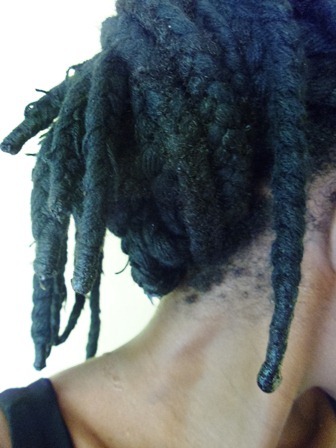 After washing, I didn't pat it dry but twisted out most of the water and sat outside to allow the cool evening breeze do the rest:) My scalp feels clean and the hair sticking out no longer feels dry. I will apply some screwy hair butter once all the water drips out. When in braids, I don't use shampoos to wash my hair because I feel like I cant get all the product off. Co-washing on the other hand feels safer cause the conditioner can stay in my hair without damaging it. So who is ready for the rainy season? Have you thought about your rainy season hair regimen ? If your hair acts the same way all year round then there's no need for change but if your hair revolts against your usual products/regimen, then I advice you try something new . Remember to send a message if you have any questions. I agree with you, shampoo may not completely rinse off from extensions. 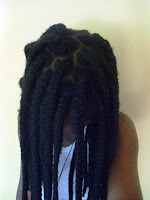 I want to try the yarn braids but I am scared I will loose my hairline, as I did before with extensions. You can do a post on rainy season regimen naa. 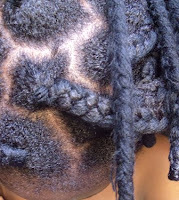 Okay Sis...rainy season hair regimen coming up!